Uinta backcountry skiing Hells Kitchen mountaineering trip report, Uinta mountains of Utah. 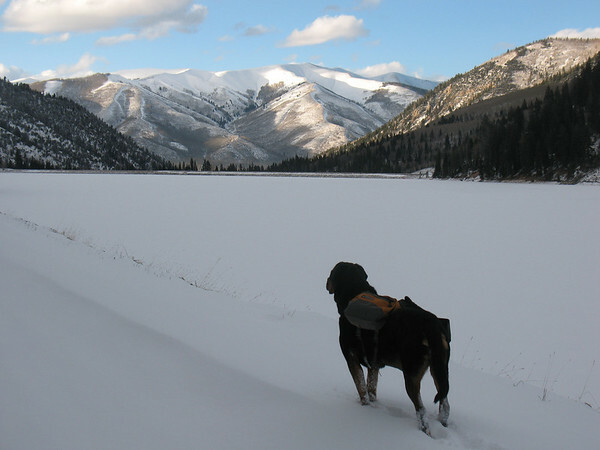 The author and his trusted rottweiler sought out epic ski lines. They were to be turned back by difficult route. The mountaineers returned the following summer and completed the Hell’s Kitchen route. With a 2-pm phone call, the window to ski Western Uintas Hell’s Kitchen opened up. I’d been planning to backcountry ski tour HELL’s KITCHEN, for some time. 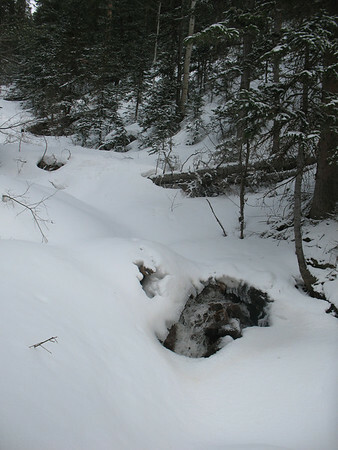 The winter the Avalanche danger was too high. Now it’s early April, the snow pack is stable, and my window to ski it is open but closing rapidly. 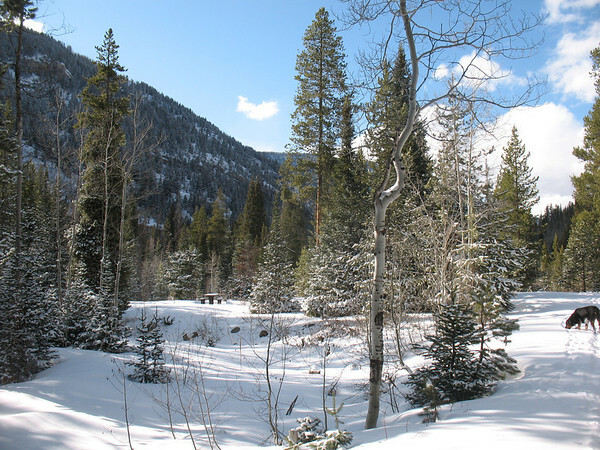 The Uinta Mountains receive Continental snow pack, compared to the Wasatch InterMountain snow pack, is dryer and doesn’t stick to stuff as well. Consequently the Uintas regularly have less stable snow pack with higher avalanche danger. 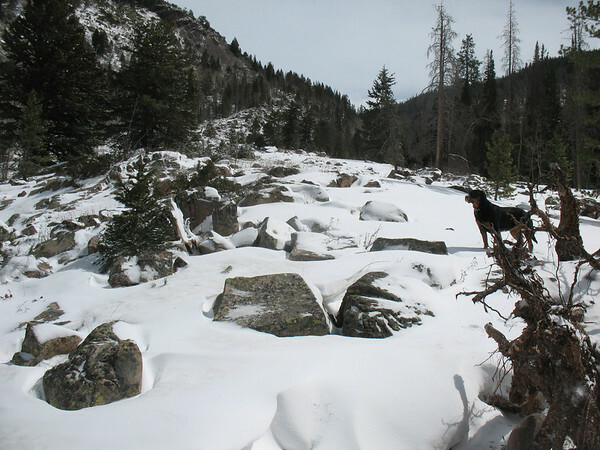 The early April spring conditions have healed the unstable snow pack making it safe/er for me and my rottweiler (Kota), to Ski tour Hell’s Kitchen. I’ve got the 1.5 days and time is ticking. 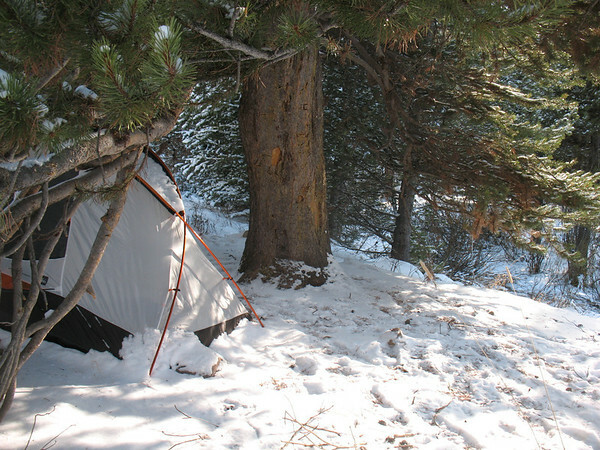 Winter camping and mountaineering equipment are essential skills for Uinta backcountry skiing . So I pack up the crampons, -20F sleeping bag, 4-seasons tent, and my camera. 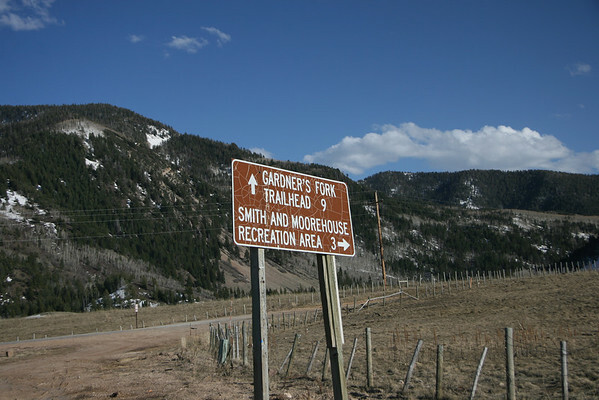 The plan for day 1 was Drive to Smith and Moorehouse, skin in and set up camp. After some hot coffee and breakfast, we’re fueled up and ready to climb 3,000 ft and ski over 4 miles to HELL’S KITCHEN. Shortly after crossing the creek the mountain walls steepen forcing the trail down into a steep stream bed. 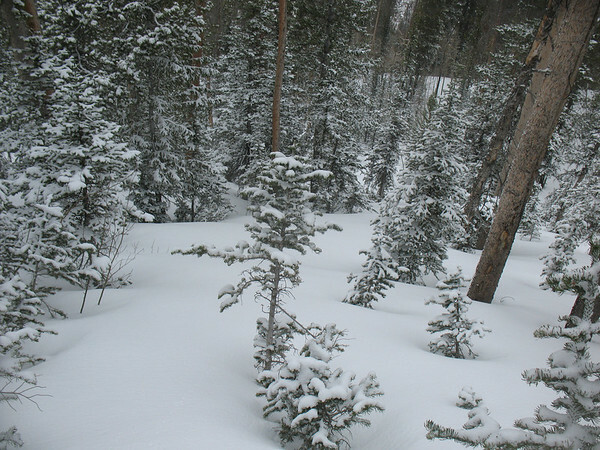 This is where uinta backcountry skiing got dicey. The sound of the water rushing under the snow was quite intimidating while skinning over snowbridges. The woods in this area are riddled with down fall, making travel difficult. After a couple hours of bushwhacking, I end up back in the creek. We pushed on a bit further but we eventually turn around. I pack up, skin out, and drive home to Park City. Tour Plan Uinta backcountry skiing (Hell’s Kitchen) with estimated time of travel. -Take main Smith and Moorehouse trail. Just over a mile then bushwack left towards the river. 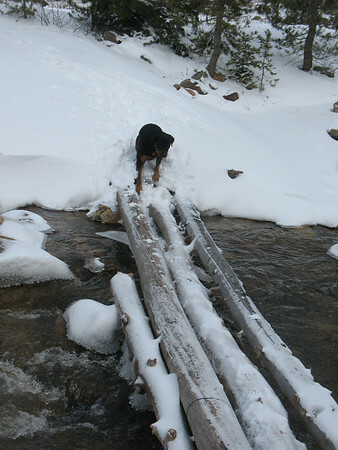 -Somewhere on the shore you’ll come across a makeshift log foot bridge. Be very careful. -Stay in the stream bed or it’s Snaggle-fest. -Then it opens up and flattens out. This is Hell’s Kitchen basin where several small lakes and most prominently, Jean Lake. Click on photos to see full gallery. This Trip Report is: To Be Continued.